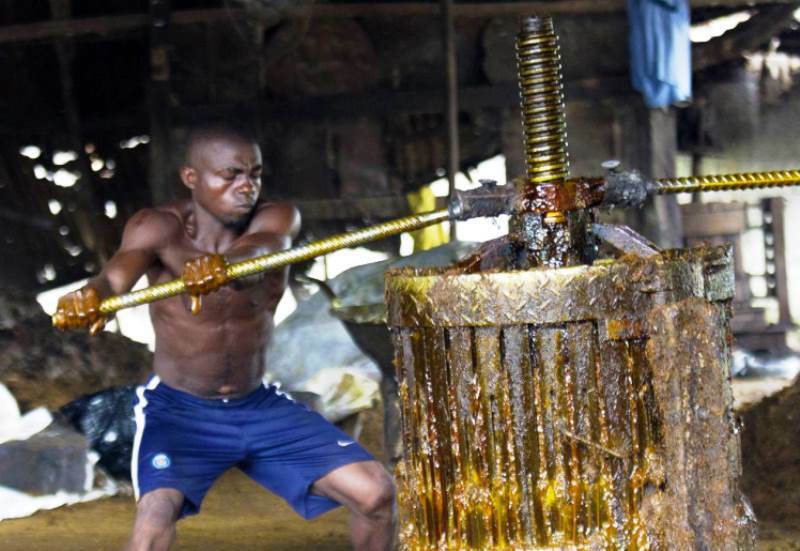 As Nigeria begins to experience a large influx of foreigners tapping into its vast resources, it appears that this is gradually becoming a curse instead of a blessing as there have been unending reports ranging from slavery to inhumane work conditions which have led to the death of countless Nigerians who work with them seeking for greener pastures. This is evident in the death of Mr Ndubuisi Okolie, a staff with Okomu Oil Palm Company located in Ovia South-East Local Government Area, of Edo State who was ground to death on the 11th of December, 2018 at the company`s premises while operating a milling machine for the company which is managed by a South African firm called Socfinco S.A, with Dr Graham Hefer as its managing director. Information made available to SecretReporters reveal that the late Mr Ndubuisi who had worked in the Palm oil company for about three (3) years as a contract staff then later for twelve (12) years as a permanent staff met his untimely death a few hours after resuming for duty on that fateful day as he was accidentally crushed by the palm kernel milling machine, a theory the family claim is not factual. It was further revealed that after the incident, the management of the palm oil company under the administration of Dr Graham who is known not to show any regards for his workers failed to immediately contact the family to inform them of the demise of Mr Ndubuisi and also did not pay a condolence visit to his bereaved wife and son nor was his remains brought to the family for proper burial. According to Mrs Emily Ndubuisi, the wife of the deceased in a conversation with our reporter “I was at home at about 6 pm in the evening when the company`s driver came to the house and told me that my husband will not be coming home that day because he will be going to work for somebody that night. Few minutes after he left, an unknown number called me and told me to take heart that my husband was in the hospital. That was when I ran outside shouting and crying only to discover that all my neighbours were already aware that my husband was dead. And up till today, nobody from the company has called us or visited us to inform us officially, his corpse we did not see nothing at all. All I want is justice o…, oga please help me” She lamented amidst tears and intense wailing. Surprised at the inhumane attitude of the management towards the death of Mr Ndubuisi who has worked with the company for about fifteen (15) years and not satisfied with the narratives and circumstances surrounding his death, the family reported the incident to the Iguobazuwa Police Division as well as the Area Command in Edo State, howbeit Dr Graham whom our source described as an astutely corrupt entity is allegedly in connivance with the police to sweep the case under the carpet. As though workers are being used for voodoo rituals in the company, SecretReporters also learned that a similar incident occurred the previous year, about the same period Mr Ndubuisi died in the company, with the case allegedly meeting a dead end as the MD in connivance with the Nigerian Police later stated from their investigations that the man committed suicide, a statement which some of his colleagues described as damage control, a blatant lie and a deliberate attempt to sweep the case under the carpet. As with the practice of this online news medium to ensure balanced reportage, the Managing Director of the company Dr Graham Hefer was contacted via his mobile line and he denied knowing Mr Ndubuisi Okolie stating that he has over ten thousand workers under him and there is no way he could have known him or what happened to him.